Shoes have been around forever. At some point in time, early on in human evolution, our ancestors must have decided that we simply couldn’t do without shoes; and since then life has never been the same. We like to believe that women have evolved more than men in regards to shoes and that a woman’s shoe game is much more advanced than that of men. 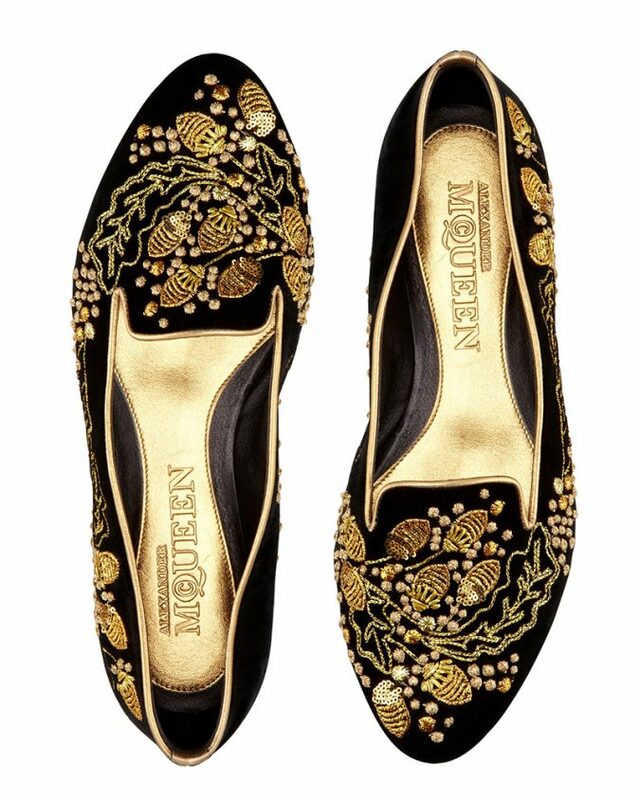 Women shoes aren’t simply limited to utility anymore; instead, footwear for women has long crossed over to the side of art and fashion. 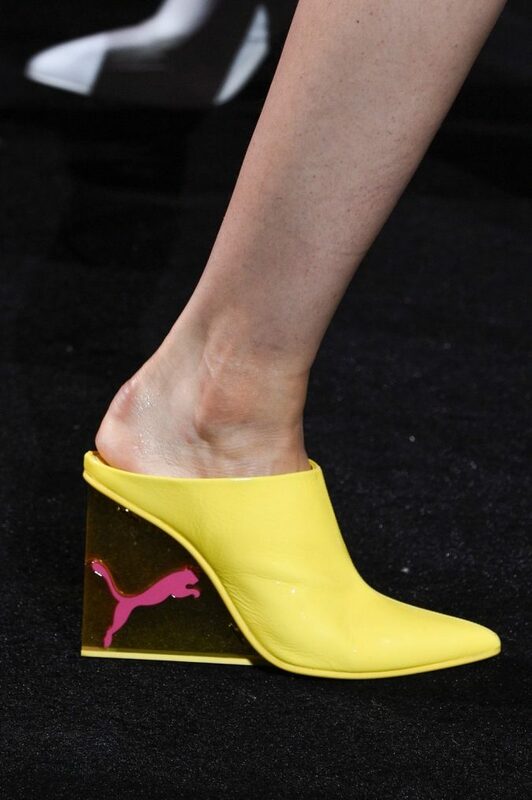 Bearing this in mind, it is only natural that women’s footwear trends are subject to change, and these changes are often predicted at the end of the year with an eye on the upcoming year. Very soon we will be bidding farewell to 2017 so right now is exactly the right time to spill the deets on women’s shoe trends for 2018. Read further to know more. White is a color that signifies class and elegance in more ways than one which is why we can’t think of any reason to complain about the fact that white is going to rule regarding women footwear in 2018. If you are mulling over the fact that white shoes have always been popular, then we want to make it clear that white footwear for women will be super popular in 2018. 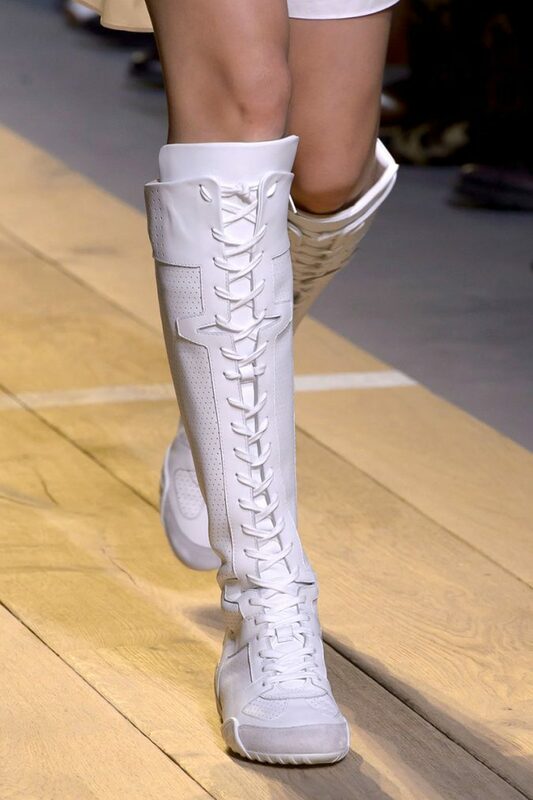 Vogue’s top pick for shoe trends in 2018 for the Spring/Summer season featured big and bright names such as Louis Vuitton, Thom Browne, Miu Miu and Chanel; and you get no points for guessing that all these designers showed an obvious bias for pristine white shoes. Yes! 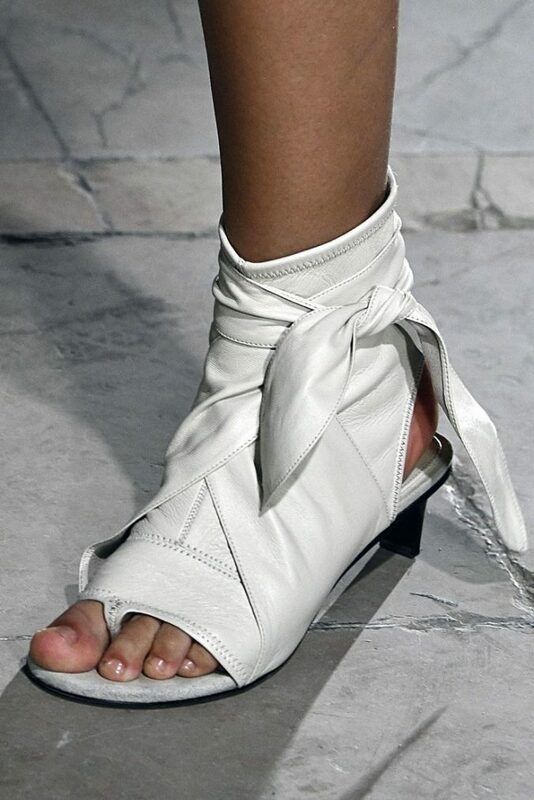 White shoes are difficult to maintain, and they often get messy, but there’s always a high price to pay for high fashion. 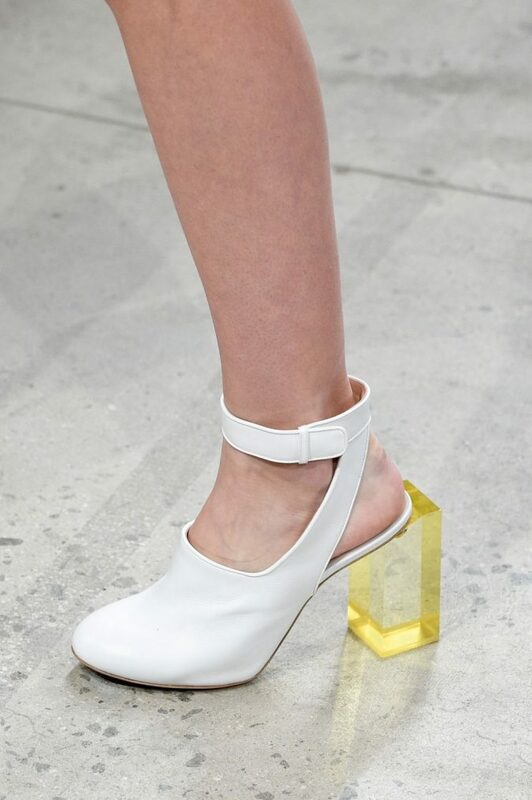 Block heels of various shapes and sizes are back but with a conspicuous twist. 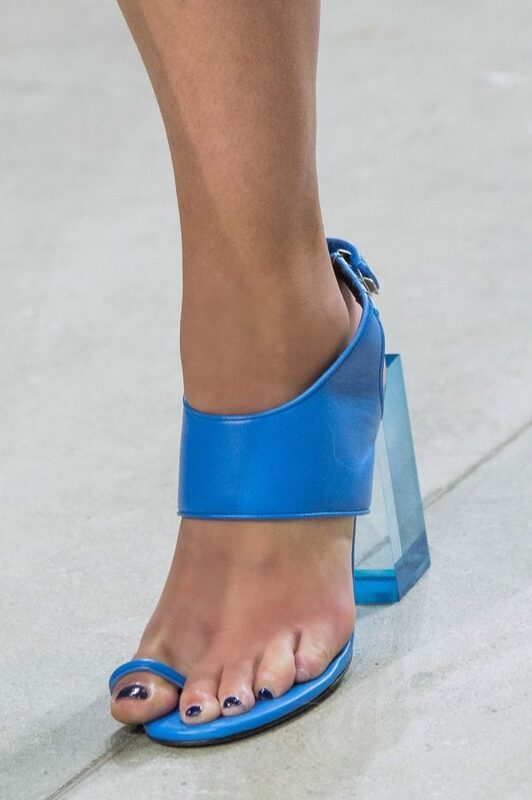 2018 will be the year of transparent and semi-transparent block heels with an emphasis on a variety of footwear for various occasions. These heels will flood the market with various avatars allowing you to enjoy this trend for casual wear, formal and even evening wear. 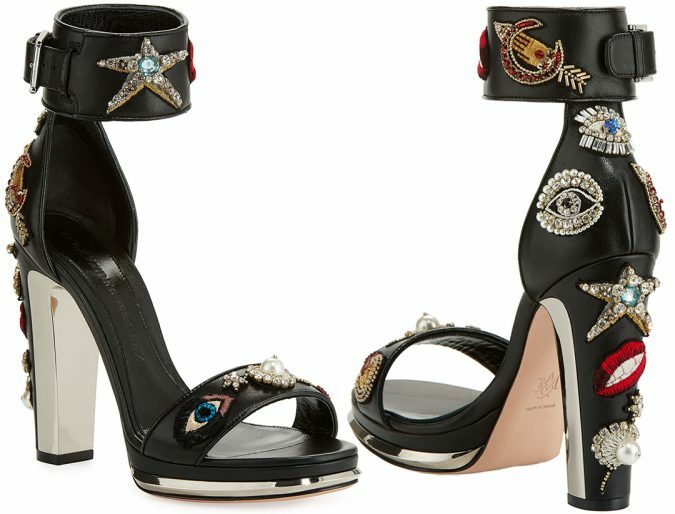 Big names that have proactively brought this trend to the forefront are Prabal Gurung who is a favorite of the former First Lady Michelle Obama, Alexander McQueen who stood out for his recent collection of transparent heeled shoes containing little pearls and flowers, and the very famous Valentino. 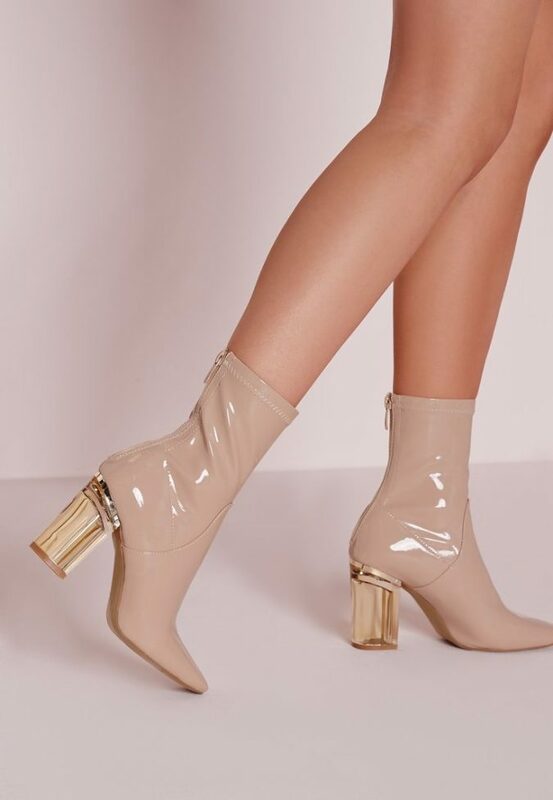 Women are waking up to the unreal expectations of fashion, and many are ditching stilettos and high-heeled shoes for the sake of comfort and orthopedic health. 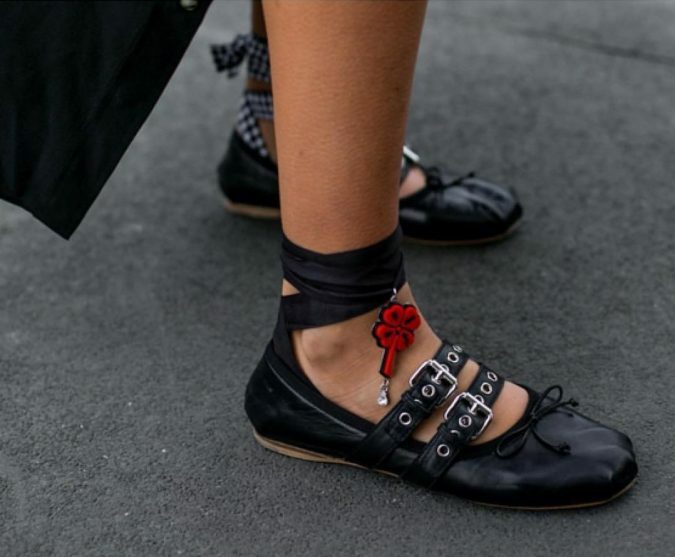 Flats don’t mean that one has to compromise on style, and some of the biggest names in fashion are taking care of this. 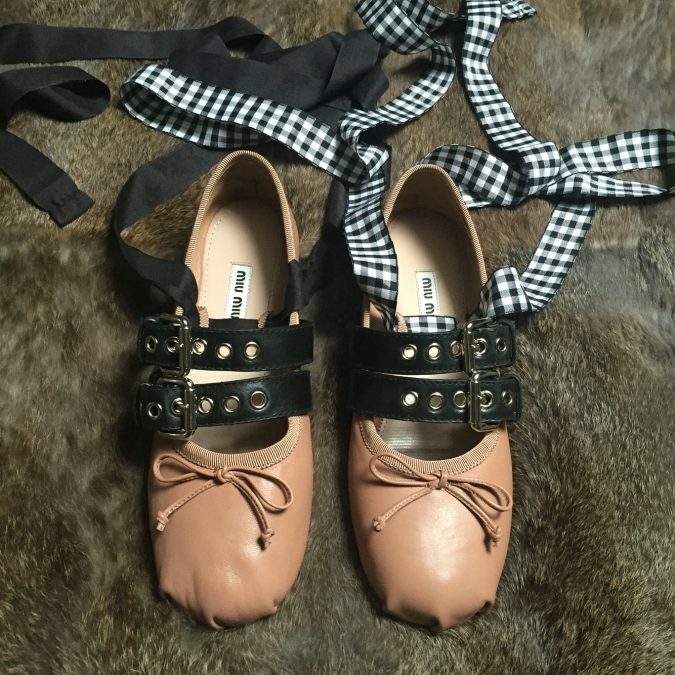 Miu Miu showcased checkered flat soled tie-up shoes and even strappy flat-soled sandals with a steampunk edge, Alexander McQueen did pretty much the same but with added accentuations and even managed to put some stable boots on the runway, Giambattista Valli topped it off with flat soled sandals, and ballerinas accentuated with furry trimmings. 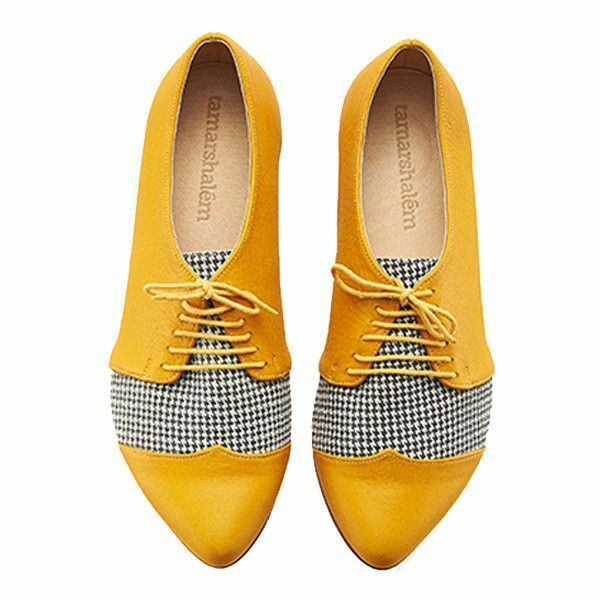 The bias for pop colors which is very apparent in the spring/summer footwear trends for 2018 will ensure that your feet are never ignored. This trend was very apparent in the collections of top designers like Prabal Gurung, Calvin Klein and Noon by Noor among others. 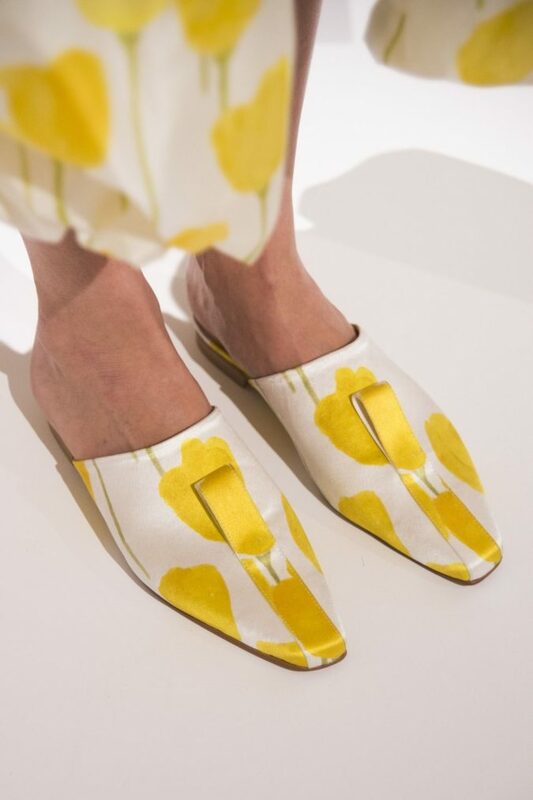 Balenciaga’s banana yellow crocs with heels may not work for everyone but could very well be a trend that captures the fancy of younger women and girls in 2018. This is a trend with potential for widespread replication off the runway. 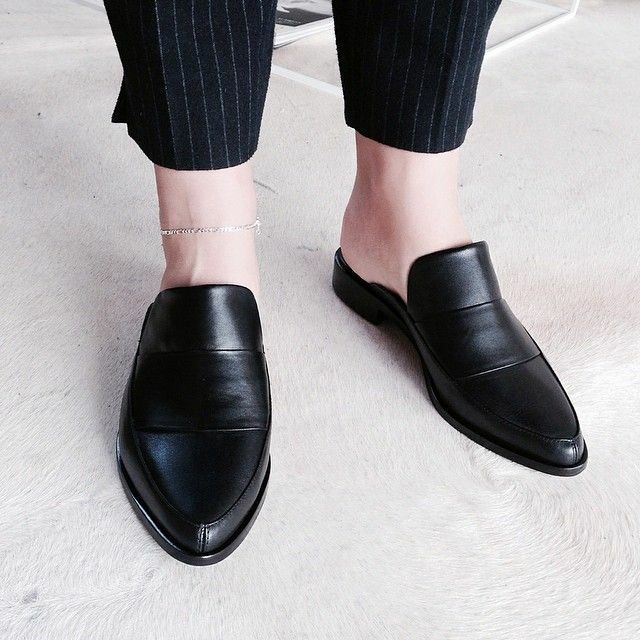 If you swore by the comfort and understated style component of mules for footwear then we have good news for you. Mules are all set to be big and happening in 2018. Mules can be traced back to the 18th century and have come back in fashion just to disappear multiple times again. However, there’s no denying that mules will be highly favored in 2018. Popular names like Tibi and Claudia Li have done their part to ensure that mules make a strong comeback. All that glitters isn’t gold! But the adage is of little consequences when it comes to glittery shoes. 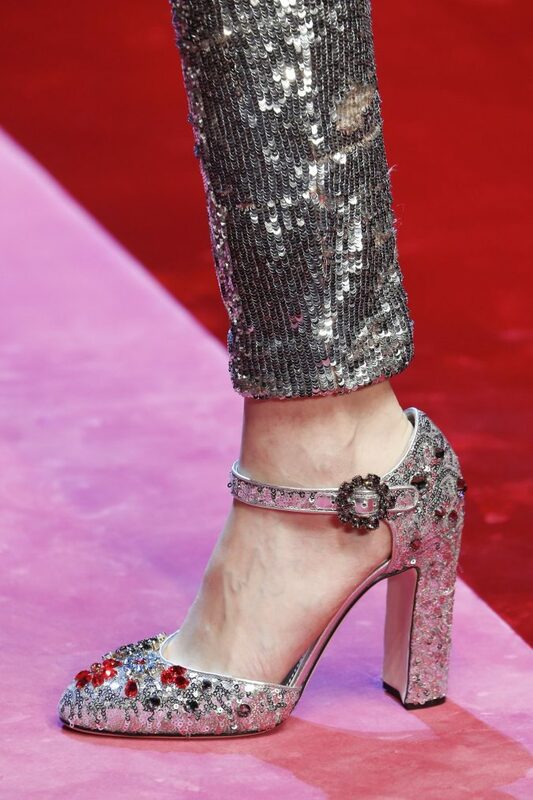 For younger women, the princess complex isn’t disappearing anytime soon, and this is made evident by the glittery shoes that dominated the runways for Spring/Summer collections 2018. 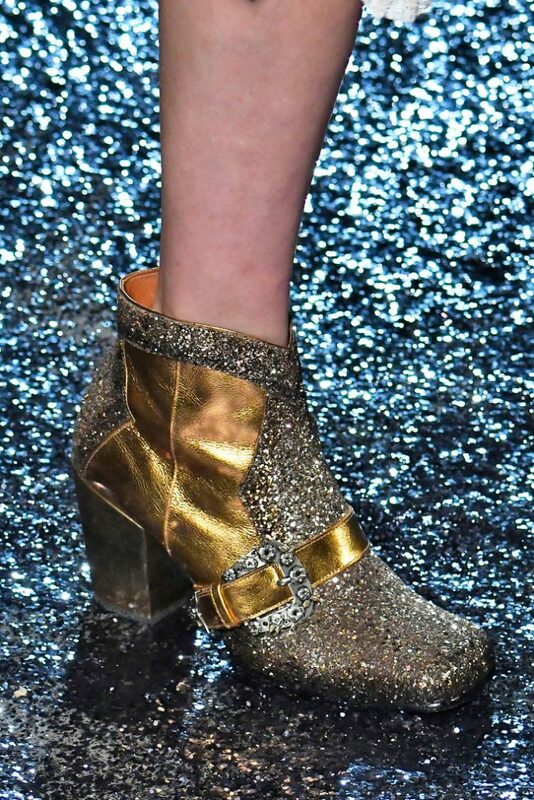 Libertine, Anna Sui, and Coach couldn’t get enough of the glitter, and we bet no one will be complaining in 2018. Many shoes have distinct features that standout like a beauty spot on a flawless face. High tongues and toe straps may seem like insignificant additions, but when you look closely, it will dawn on you that they completely change the look of a shoe. These distinct features are all set to be big in 2018. 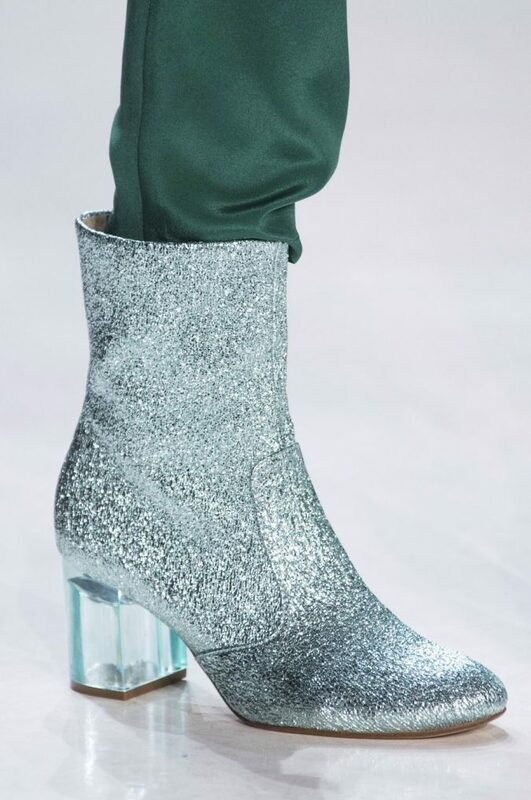 Christian Siriano and Adeam put out some great high tongue shoes on the Spring/Summer 2018 runways while we saw a lot of toe straps at Prabal Gurung, Tibi, and Tracy Reese shows. 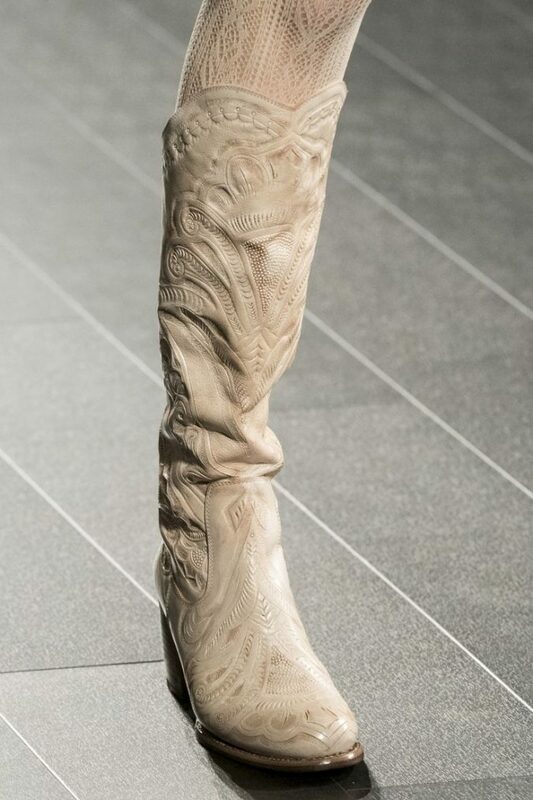 Women shoes aren’t complete without accentuations and embellishments, and in 2018 we are bound to notice some distinct features of women’s footwear trends. Listed below are the accentuations and embellishments that you can expect to see on women’s shoes in 2018. Straps of various colors on the same pair of shoes are going to be big in 2018. 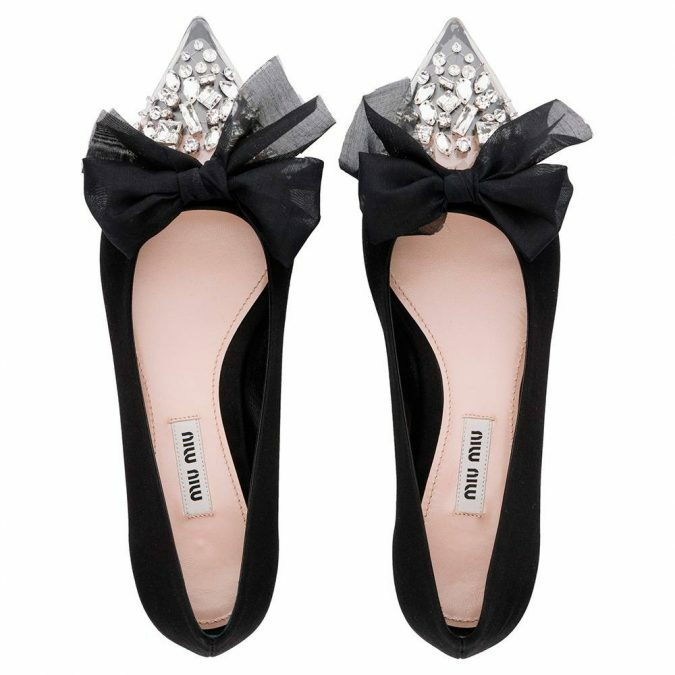 Furry trimming on a wide range of shoes including ballerinas, sandals, boots and even stilettos is sure to trend in the upcoming year. 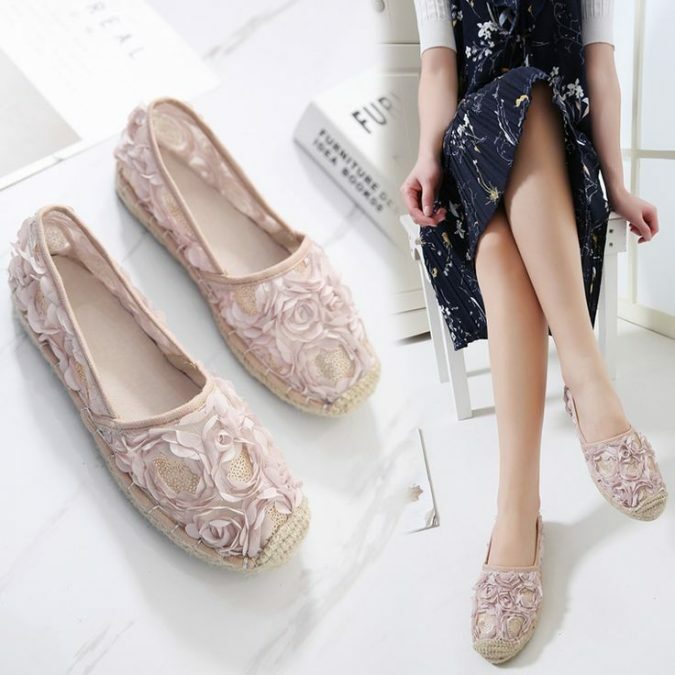 Pearls have also been used to accentuate high fashion footwear on the spring/summer 2018 runways, and there is good chance that these embellishments will be replicated in high street fashion. 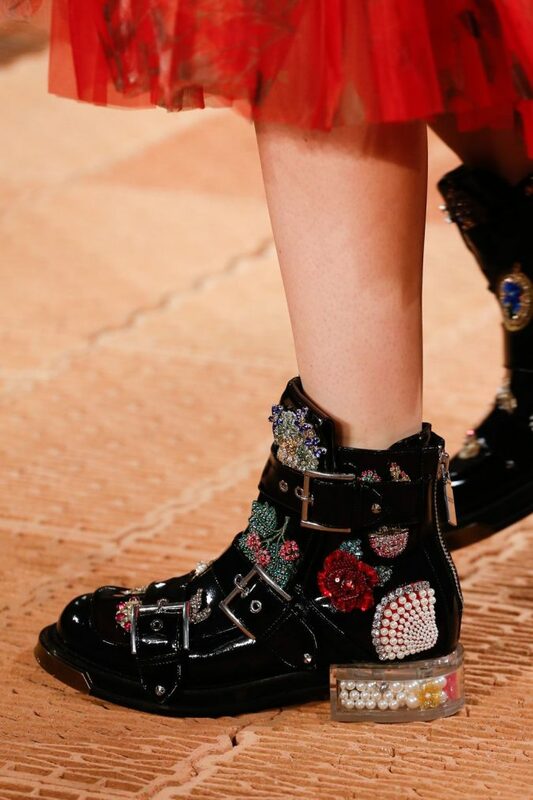 Metallic embellishments, lace, and even colored fabrics will tell a footwear design story in 2018 as is evident from what we have seen on the Spring/Summer collections for the upcoming year.